FAIRFIELD — The South Benson Marina is a valuable town asset, but it’s nearing the end of its lifecycle and some changes are necessary, officials say. The Parks and Recreation Commission contracted Race Coastal Engineering, a Stratford-based waterfront consulting firm, to examine the condition of the marina last year. Among the marina’s deficiencies? An aging infrastructure that dates back to the 1980s, faulty docking methods for all boats and inadequate slip and fairway widths. Additionally, the marina is not fully compliant with the Americans with Disabilities Act, and security, which used to be 24 hours a day, is now limited. While there are plans for a long-term reconfiguration of the marina, those are still months away before they’re set. “We are so early in the process we don’t know what our final recommendation will be,” Scott Walker, chairman of the Parks and Recreation Commission, said regarding a long-term plan. Walker said there has been a back-and-forth with Race Coastal Engineering regarding design options for the overall remodeling, resulting in the so-called Option 11. Option 11, as of now, would allow for every slip to have a finger dock — facilitating boarding and docking — wider fairways and ADA-compliant ramps. 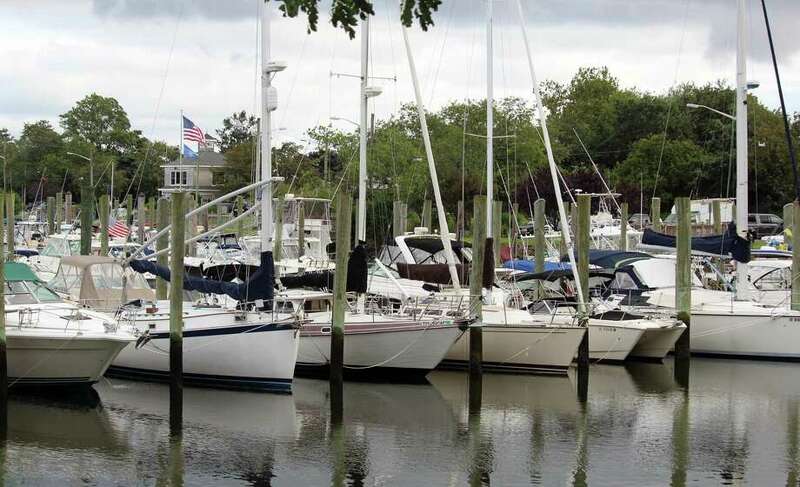 Improved docking methods and more space between boats comes at a trade-off, however, because fewer boats would be able to be stationed at the marina. “Our next step is to present Race’s findings along with Option 11 to the boating community on April 23, where we will get their feedback and incorporate that information and determine our next steps in the planning process,” Walker said. Feedback from the upcoming April 23 meeting — a starting point in the planning process — may lead to another draft of the marina redesign, Walker noted. As of press time, a location had not been set for the April 23 forum. First Selectman Mike Tetreau suggested Walker make a presentation to the Board of Finance and the Representative Town Meeting. Dredging of the marina has also been a constant concern for local boaters. The South Benson Marina Channel was last dredged in 2013, a year after Superstorm Sandy. An application is currently being processed and dredging is expected to take place later this year — funding for the work is in place, part of a $700,000 appropriation made in 2017. “I would expect that we will have a formal recommendation to make to the town at some point later this spring or summer,” Walker said regarding a reconfiguration plan for the marina.